See Section 3.0 regarding Dosing, 4.0 regarding Potential Therapeutic Uses, and 7.0 regarding Adverse Effects. Basic overview of common cannabis plants and products, as well as methods of consumption and approaches to harm reduction. *Use left menu to navigate topic sections. Consolidated overviews of the state of medicinal cannabis across various clinical and research areas. Evidence for medicinal use of cannabis organized into the following categories: Pain Management, Safety, Use with Other Medications, Misuse/Abuse, Harm, and Cannabis use for Specific Conditions and Populations. CADTH Rapid Response - Medical Marijuana for Pediatric Patients: Clinical Effectiveness. A list of pediatric studies on the effect medical cannabis has on a range of symptoms. This PDF covers a range of cannabis' medicinal uses including various forms of pain management, spasticity, nausea, and epilepsy. What is known about the epidemiological consequences of decriminalization or legalization of cannabis in large catchment areas? How does medicinal cannabis operate in jurisdictions where recreational cannabis use has been legalized or decriminalized? *In the RxTx search bar, copy and paste the phrase Cannabis CPhA Monograph and then select it from the list. *Also includes section on Effectiveness, Adverse Effects and Interactions. 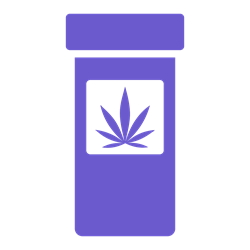 [NSHA Access] Enter "cannabis" in the main search box. College of Family Physicians of Canada. (2014). Authorizing dried cannabis for chronic pain or anxiety: preliminary guidance from the College of Family Physicians of Canada. College of Family Physicians of Canada. Canadian Research Initiative in Substance Misuse (CRISM). (2017). Lower-Risk Cannabis Use Guidelines (LRCUG): Evidence Brief. Centre for Addiction and Mental Health. College of Licensed Practical Nurses of Nova Scotia, & College of Registered Nurses of Nova Scotia. (2017). Practice guideline: caring for clients authorized to use medical cannabis. College of Registered Nurses of Nova Scotia. Canadian Research Initiative in Substance Misuse (CRISM). (2018). Lower-Risk Cannabis Use Guidelines (LRCUG): 10 Ways to Reduce Risks to Your Health When Using Cannabis. Centre for Addiction and Mental Health. Allan, G. M., Ramji, J., Perry, D., Ton, J., Beahm, N. P., Crisp, N., ...Lindbald, A. J. (2018). Simplified guideline for prescribing medical cannabinoids in primary care. Canadian Family Physicians, 64(2), 111-120. College of Licensed Practical Nurses of Nova Scotia & College of Registered Nurses of Nova Scotia. (2018). Cannabis: Questions and Answers. College of Registered Nurses of Nova Scotia. Registered Nurses’ Association of Ontario. (2017). RNAO's Response on Bill 174: Cannabis, Smoke-Free Ontario and Road Safety Statute Law Amendment Act, 2017. Registered Nurses’ Association of Ontario. Centre for Addiction and Mental Health. (2014). CAMH’s Cannabis Policy Framework: Legalization with regulation. Centre for Addiction and Mental Health. National Association of Pharmacy Regulatory Authorities. (2017). Cannabis for Medical and Non-Medical Purposes: NAPRA Position Statement on the Role of Pharmacy Practitioners. National Association of Pharmacy Regulatory Authorities. New Brunswick College of Pharmacists. (2018). Position Statement: Cannabis for Medical and Non- Medical Purposes. New Brunswick College of Pharmacists. The Canadian Medical Protective Association. (2018). Medical marijuana: considerations for Canadian doctors. The Canadian Medical Protective Association. The College of Family Physicians of Canada. (2013). The College of Family Physicians of Canada Statement on Health Canada’s Proposed Changes to Medical Marijuana Regulations. The College of Family Physicians of Canada. Canadian Federation of Medical Students. (2018). Canadian Federation of Medical Students Position Statement on Recreational Cannabis Legalization. Canadian Federation of Medical Students. College of Physicians & Surgeons of Nova Scotia. (2017). Professional Standards Regarding the Authorization of Marijuana for Medical Purposes. College of Physicians & Surgeons of Nova Scotia. Doctors Nova Scotia. (n.d.). Recommendations on legalizing marijuana. Doctors Nova Scotia. Canadian Lung Association. (2018). Cannabis Position Statement. Canadian Lung Association. Tibbo, P., Crocker, C. E., Lam, R. W., Meyer, J., Sareen, J. & Aitchison, K. J. (2017). Implications of Cannabis Legalization on Youth and Young Adults. Canadian Psychiatric Association. IWK Health Centre. (2018). Medication Management Policy and Procedure: Patient’s Own Medical Cannabis. IWK Health Centre. Moulin, D., Boulanger, A., Clark, A., Clarke, H., Dao, T., Finley, G., … Williamson, O. (2014). Pharmacological management of chronic neuropathic pain: Revised consensus statement from the Canadian Pain Society. Pain Research & Management : The Journal of the Canadian Pain Society, 19(6), 328–335. Canadian Public Health Association. (2018). Response to Health Canada’s Consultation on the Proposed Approach to the Regulation of Cannabis. Canadian Public Health Association. Acute effects of smoked and vaporized cannabis in healthy adults who infrequently use cannabis: a crossover trial. Spindle, T. R., Cone, E. J., Schlienz, N. J., Mitchell, J. M., Bigelow, G. E., Flegel, R., ... & Vandrey, R. (2018). Acute effects of smoked and vaporized cannabis in healthy adults who infrequently use cannabis: a crossover trial. JAMA network open, 1(7), e184841-e184841. Wang, T., Collet, J. P., Shapiro, S., & Ware, M. A. (2008). Adverse effects of medical cannabinoids: a systematic review. Canadian Medical Association Journal, 178(13), 1669-1678. Whiting, P.F., Wolff, R.F., Deshpande, S., Di Nisio, M., Duffy, Steven, H., Adrian V., . . . & Vascular Medicine. (2015). Cannabinoids for medical use: a systematic review and meta-analysis. JAMA, 313(24), 2456-2473. Stockings, E., Campbell, G., Hall, W. D., Nielsen, S., Zagic, D., Rahman, R., ... & Degenhardt, L. (2018). Cannabis and cannabinoids for the treatment of people with chronic noncancer pain conditions: a systematic review and meta-analysis of controlled and observational studies. Pain, 159(10), 1932-1954. Kafil, T. S., Nguyen, T. M., MacDonald, J. K., & Chande, N. (2018). Cannabis for the treatment of Crohn's disease. Cochrane Database of Systematic Reviews, (11). Cannabis for the treatment of ulcerative colitis. Kafil, T. S., Nguyen, T. M., MacDonald, J. K., & Chande, N. (2018). Cannabis for the treatment of ulcerative colitis. Cochrane Database of Systematic Reviews, (11). Efficacy and adverse effects of medical marijuana for chronic noncancer pain: systematic review of randomized controlled trials. Deshpande, A. F., Mailis-Gagnon, A., Zoheiry, N., & Lakha, S. (2015). Efficacy and adverse effects of medical marijuana for chronic noncancer pain: systematic review of randomized controlled trials. Canadian Family Physician, 61(8), E372-E381. Lattanzi, S., Brigo, F., Trinka, E., Zaccara, G., Cagnetti, C., Del Giovane, C., & Silvestrini, M. (2018). Efficacy and safety of cannabidiol in epilepsy: a systematic review and meta-analysis. Drugs, 1-14. MacCallum, C. A., & Russo, E. B. (2018). Practical considerations in medical cannabis administration and dosing. European journal of internal medicine. Russell, C., Rueda, S., Room, R., Tyndall, M., & Fischer, B. (2018). Routes of administration for cannabis use – basic prevalence and related health outcomes: a scoping review and synthesis. International Journal of Drug Policy, 52, 87-96. Koppel, B. S., Brust, J. C., Fife, T., Bronstein, J., Youssof, S., Gronseth, G., & Gloss, D. (2014). Systematic review: Efficacy and safety of medical marijuana in selected neurologic disorders: Report of the Guideline Development Subcommittee of the American Academy of Neurology. Neurology, 82(17), 1556-1563. Cannabis dependence its nature, consequences, and treatment by Roffman, Roger A. 1942- Stephens, Robert S.
Clearing the smoke on cannabis : medical use of cannabis and cannabinoids by Kalant, Harold 1923-; Porath-Waller, Amy J. The medicalization of cannabis by Crowther, S.m. ; Reynolds, L.a. ; Tansey, E.m.
Wigmore on cannabis : the forensic toxicology of marijuana for lawyers and other medicolegal professional by Wigmore, James G.